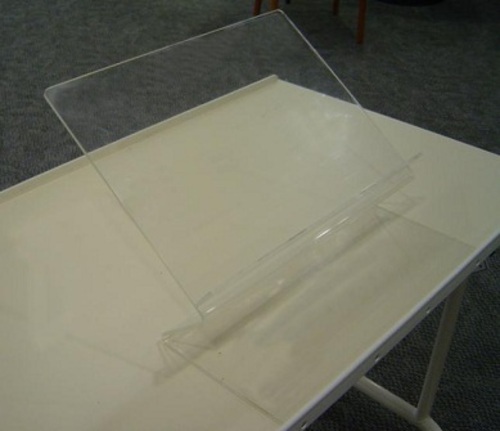 A clear plastic (acrylic) copy holder, with a fixed height and angle. Designed to be positioned directly in front of the operator, between the monitor and the keyboard. It can be customised. The keyboard is placed on the base of the copy holder, to stabilise the holder and to minimise the space required in between the monitor and keyboard.